Postpartum depression: How effective is CBT? In a recent review, researchers investigated the impact of cognitive behavioural therapy on postpartum depression. Postpartum depression was officially reported in psychiatric journals in 1994. There are a number of factors leading to post-partum depression including a history of depression in the family, low socioeconomic status, and an unplanned pregnancy. 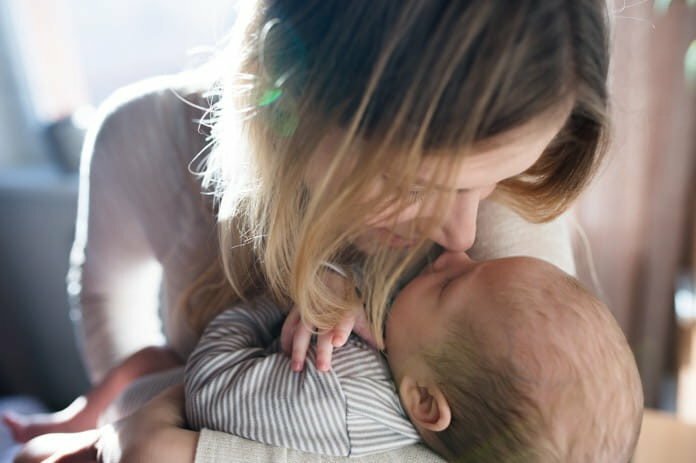 Some approaches to treat depression after giving birth have included home visits, education, one-to-one counselling, self-help books, and group therapy. Treatments using technology such as virtual reality are also being explored to tackle postpartum depression. Some studies have suggested that interventions can be made better using technology like virtual reality, as it is a powerful tool that could add to the treatments such as cognitive behavioural therapy, enhancing a level of control and leading to the feeling of self-sufficiency in the patient. However, there have not been enough studies on the effectiveness of virtual reality in treating postpartum depression. Two treatments which are believed to be very useful in treating postpartum depression is cognitive behavioural therapy (CBT) and interpersonal therapy (IPT). CBT involves identifying negative thinking patterns and understanding how they could become automatic. Understanding and identifying these patterns is important and it allows individuals to change their thinking and ultimately behaviour. IPT emphasizes four focus areas: grief about changes in relationships, disputes in interpersonal relationships, role changes, and a lack of significant life events. It is about emphasising personal relationships, better communication and improving the support systems available to the individual. In a recent review, researchers investigated the effectiveness of CBT in tackling postpartum depression. The results of the study have been published in the BMC Psychology journal. The researchers reviewed six systematic reviews based on various criteria. The population of the six studies in total numbered 24,231. Combined together, the studies included participants across the United Kingdom, Australia, United States, France, Canada Chile, Pakistan and Sweden. The studies had newly pregnant women, new mothers, pregnant women and participants were examined for depression through self-report questionnaires and clinical interviews. The results of the study have been that CBT is highly effective as a tool in tackling depression post birth. While the severity of the depression varied according to the case, it was seen that CBT was advantageous over primary care to reduce the symptoms of depression in patients. However, while the present study focused primarily on the effectiveness of CBT, it was seen in other studies comparing CBT to other approaches that there were other effective approaches as well. Another important conclusion is that CBT can be delivered individually as well as in a group setting. The socio-economic status of the population does not impact the effectiveness of CBT. Most studies in the review also focused on individual depression and its measures during the period after birth. In low-income countries, there are challenges in the cost-effectiveness of providing CBT, particularly to rural populations. Delivery of CBT through the internet was also investigated in another study, however, this did not involve the use of virtual reality. A limitation of this review was that it did not have statistical proof and it did not take into account the flaws in the practices used in the studies reviewed. This also does not asses the risk of bias systematically. Nevertheless, this review concluded that CBT is an effective treatment for postpartum depression. The authors note that their next step is to run a pilot feasibility study on virtual reality as a therapy for postpartum depression. Reference: Stamou, G., García-Palacios, A., & Botella, C. (2018). Cognitive-Behavioural therapy and interpersonal psychotherapy for the treatment of post-natal depression: a narrative review. BMC Psychology, 6(1), 28.